*Suitable for indoor or outdoor use. *Printed on pressure sensitive vinyl with permanent adhesive backing. Debit = cash price. 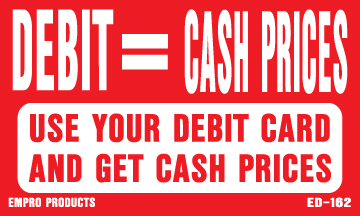 Use your debit card and get cash prices.